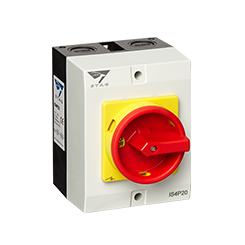 Firmly established in the UK wholesale trade counter marketplace, Stag Enclosed Isolators offer supreme value for money without compromising quality. 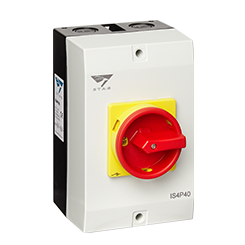 Made from high quality flame retardant materials, and sealed to IP65 rating, Stag Enclosed Isolators are tough and durable and suitable for most applications. Specifically designed with safety in mind, our Rotary Handle Enclosed Isolators only open in the off position, and include additional earth and neutral connections. 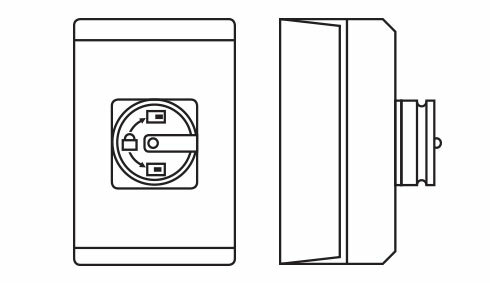 Stag Enclosed Isolator enclosure boxes come with multiple gland knockout holes, making them exceptionally versatile. 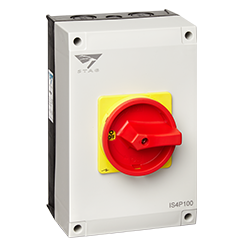 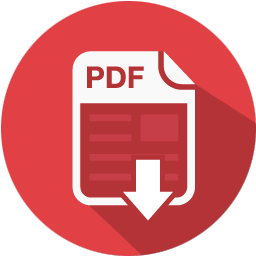 With a complete range in 4 pole from 20A to 150A as standard, and IEC60947 compliant, you will find it difficult to find a comparable product for less.